The illusion of existence is nothing but a cosmic fluctuation of the highest spirit born out of the eternal source. We are holy sparkles of the transcendental cosmic structure experiencing the moment of a carnal embodiment. Out of the sparkling lifeforce deep within us, we are thriving through a vortex of karmic reincarnations on a search for elusive oneness. Fundamentally, we are all expressions of this omnipotent intelligence. We are ultimately part of the infinite result of how this source subjectively experiences itself in every possible way imaginable. We are honored to open for you the shaman-gateways from the 3 Dimensional realms to the hyperspace of infinite possibilities. 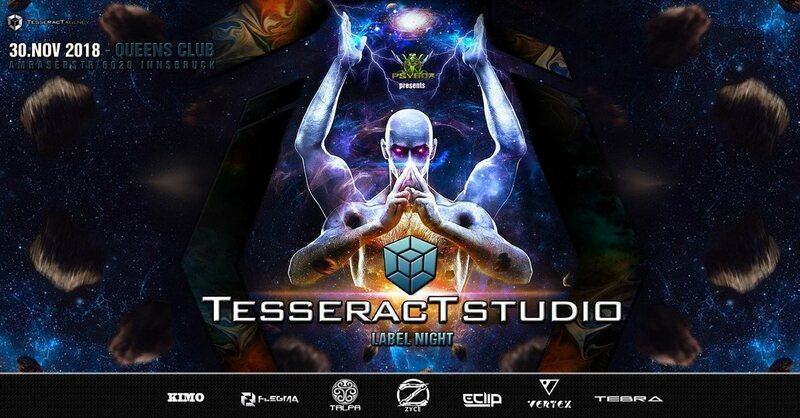 Please welcome the outstanding spiritual guides of the well respected South-Eastern European Tesseract Studio, for the first time in their full presence. We are ready to enter the void with all of you wonderful Psychonauts.